Hospital use medical Oxygen Machine is a machine producing high purity oxygen by separating oxygen from air. It adopts the principle of PSA(pressure swing adsorption).When air is passed under pressure through a vessel containing an adsorbent(zeolite molecular sieve) bed that attracts nitrogen more strongly than it does oxygen, part or all of the nitrogen will stay in the bed, and the gas coming out of the vessel will be enriched in oxygen. When the bed reaches the end of its capacity to adsorb nitrogen, it can be regenerated by reducing the pressure, thereby releasing the adsorbed nitrogen. It is then ready for another cycle of producing oxygen enriched air. In this way, high purity oxygen is produced. 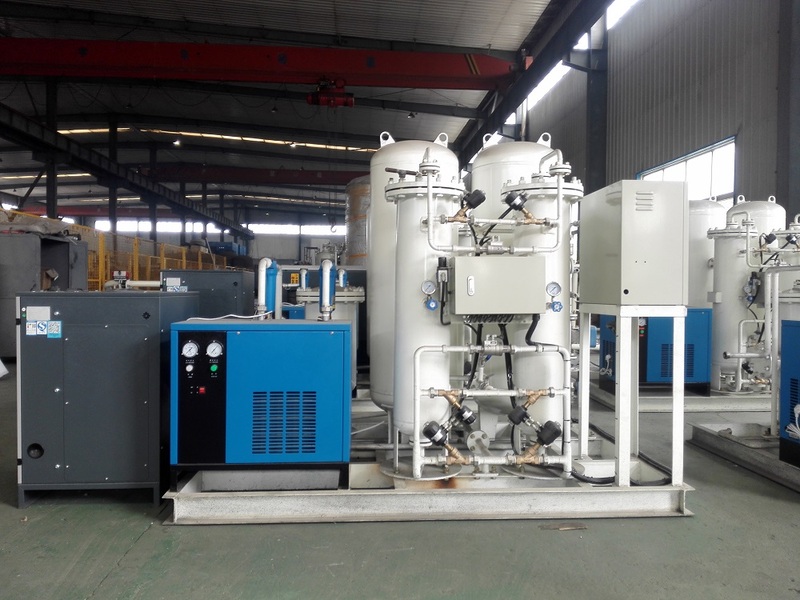 15 months after equipment factory delivery or 12 months after equipment site operation inspection acceptance, whichever occurs first; Within this period of time, any trouble occurred because of the Oxygen Generator, Gamma provide free guidance, free parts. If necessary, Gamma engineers go to site at Gamma`s own cost. If necessary, the seller is to provide free site operation and maintenance training. If site service is provided, the customer is to provide charges for visa application, round trip air tickets, board and lodge charges, transportation charges, etc for not more than two Gamma service engineers. Upon reception of the notice of equipment failure, within 24 hours, provide the best solution and guidance. Looking for ideal Hospital Use Oxygen Machine Manufacturer & supplier ? We have a wide selection at great prices to help you get creative. All the Medical Use Oxygen Machine are quality guaranteed. We are China Origin Factory of High Quality Oxygen Machine. If you have any question, please feel free to contact us.